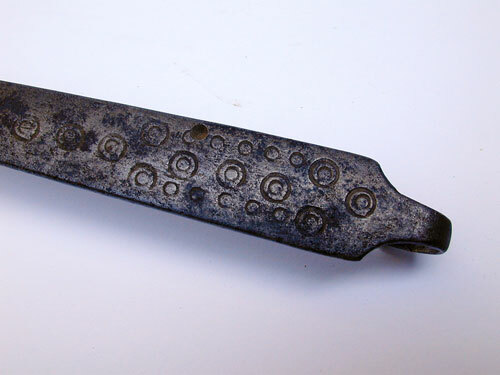 This punch decorated Pennsylvania fork was found in Lancaster County, Pennsylvania. It dates circa 1820-50's. 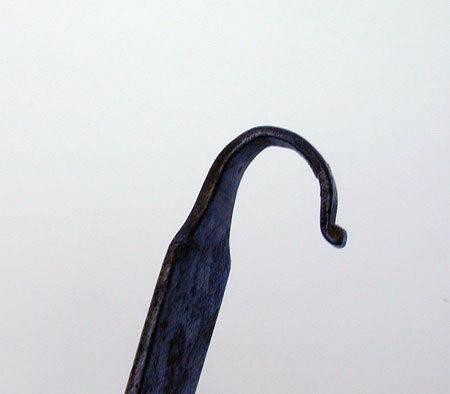 The blacksmith used a punch to impress decorations on the face side of the handle. 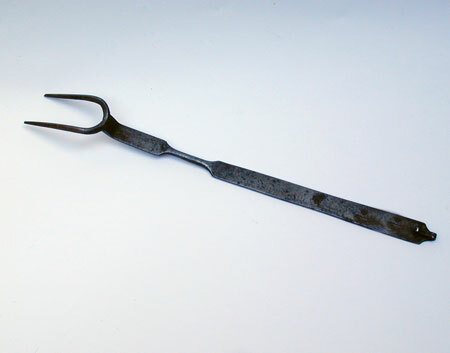 The fork is in fine condition with one unexplained partial hole on the front of the handle. Perhaps he had other intentions for the piece of iron he used to make this fork and ignored the divot. 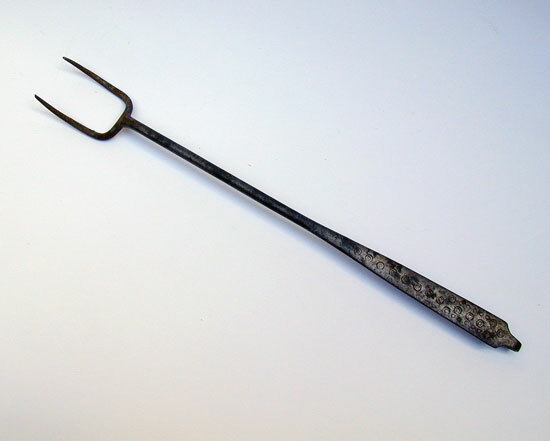 The fork measures 16 1/4" long and has a "rat-tail" hanger at the end of the handle.